Javier Solis is one of the best well known singers of mexican music and boleros. Javier Sol?s was born Gabriel Siria Levario. Being of humble origins, Siria had to drop out of school during his teens to support his family. In his spare time, he trained as an amateur boxer, with aspirations of going professional, but after suffering a few defeats, he was prevailed upon to work at something 'more decent'. Javier Sol?s was born Gabriel Siria Levario. Being of humble origins, Siria had to drop out of school during his teens to support his family. In his spare time, he trained as an amateur boxer, with aspirations of going professional, but after suffering a few defeats, he was prevailed upon to work at something 'more decent'. Siria began singing in competitions, in which the winner would be awarded a new pair of shoes; he was eventually banned from participating because he dominated the competition. At that time he was working as a butcher, and sang while he worked. His boss heard him and was so impressed with his talent that he urged Siria to dedicate himself to his music and recommended him to a voice coach. To his family's relief, he hung up his boxing gloves and began a singing career. At age 16, Siria went to Puebla to sing with the Mariachi Metepec, but he didn't get his first professional break until two years later, when Julito Rodriguez and Alfredo Gil of the famous singing trio, 'Los Panchos', discovered him, and took him to audition at CBS Records. There, in 1950, he signed a contract and recorded his first album. His first hit, Lloraras, came two years later, and it was his then-producer Felipe Valdes Leal that gave Siria his stage name, Javier Sol?s. Sol?s began to receive international acclaim in 1957, when he began appearing in the U.S., Central and South America. He was among the first to sing in the new style now known as 'Bolero-Ranchera'. He sang boleros typically associated with trio music, but now were accompanied by mariachis. Sol?s was a versatile interpreter; he sang not just boleros, but rancheras, the danz?n, waltzes and even tangos such as En Esta Tarde Gris(In This Grey Afternoon). Sol?s began his acting career in 1959, and appeared in more than 20 films, working with such artists as Pedro Armend?riz, Mar?a Victoria, Antonio Aguilar and Lola Beltr?n. 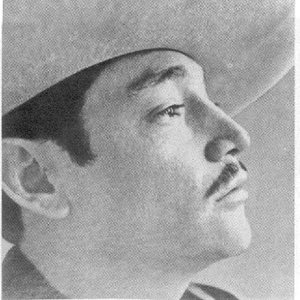 His last picture, Juan Pistolas, was finished in 1965. During his lifetime, he was considered a better singer than actor by his public, who rated him alongside such accomplished artists as Jorge Negrete, Aguilar and Pedro Infante. Great things were expected from him after the death of Pedro Infante in an air accident in the late 1950's. Alas, he died young. Sol?s passed at age 33, a victim of complications from gall bladder surgery. At that time, his doctors had refused him water, and his last words concerned his family and his terrible thirst, "They will have to shower my grave with lots of water. I know that I'm going to die; there is no cure"
Javier Sol?s was a prolific artist and left an extensive discography. Most of his albums are still in print, allowing the listener to enjoy a voice like no other.